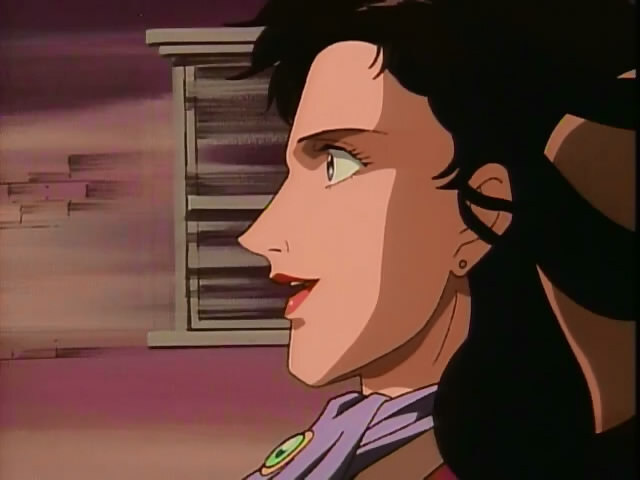 She either has the least effective windscreen ever, or her hair violates the laws of physics. Either is plausible. The 9th episode begins with social formalities and ends with preparations for the next expedition with near fisticuffs in the middle. 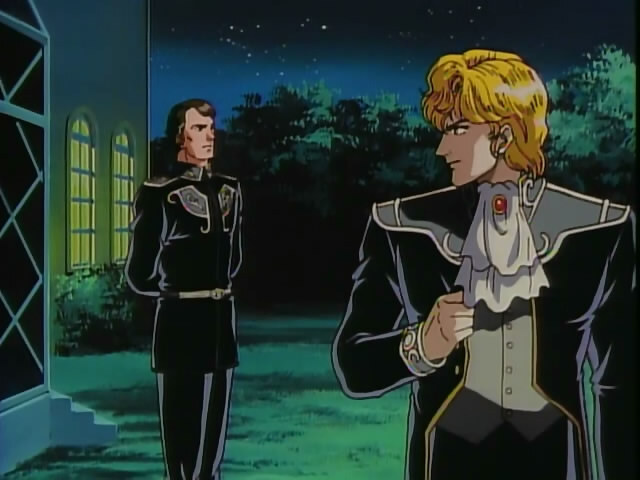 Reinhard heads to a formal dinner to celebrate Grimmelshausen’s promotion, which happens to be one of the events where Imperial policy is decided. Luneberg is also there and the two of them get into a disagreement over Reinhard’s assisting Luneberg’s ill wife. Kesler breaks things up before the fight begins, however. Prior to the next expedition being announced, Friedrich makes his decision on Reinhard’s future. The episode begins with a brilliant example of how hard it is to bring together 2 people. Reinhard is stopped by Westpfale as he walked to the ball and then she drives a bit down the same road before stopping next to Hilde. It sounds like a nice what-if scenario had they met then, but I don’t think it would have changed much given how romantically clueless the 2 of them were. Ah Hilde, it's been so long since you've been around to brighten things up. While Reinhard was trying to pass the time at the party, Luneberg was dealing with the man he most feared, his brother-in-law Hartenburg. Luneberg’s conversation once again comes off as highly political as he tries to make his inquiries about Elizabeth’s former fiance acceptable by putting it in the context of her failings as a wife. That would not be the end of her night though as Reinhard spots her sick in another room and tries to assist by having her lie down. Luneberg then stormed in and immediately accused Reinhard of trying to steal his wife. Needless to say they moved to take the fight outside, where they were stopped by Kesler, who had been brought in to head security. He told them that the two of them had too much to drink and should go home. Kesler even impressed himself with that excuse. Damn you Kesler, why do you have to be so good at your job? Meanwhile, Hartenburg and Grimmelshausen discussed Luneberg’s potential claim to be part of the royal family. Hartenburg lets it fly with disparaging comments about Luneberg. He even calls anyone with talent and ambition a potential threat. Grimmelshausen puts the fact that he revealed that to the fact that he is seen as incompetent. Hartenburg quickly excuses himself before he reveals anything else. 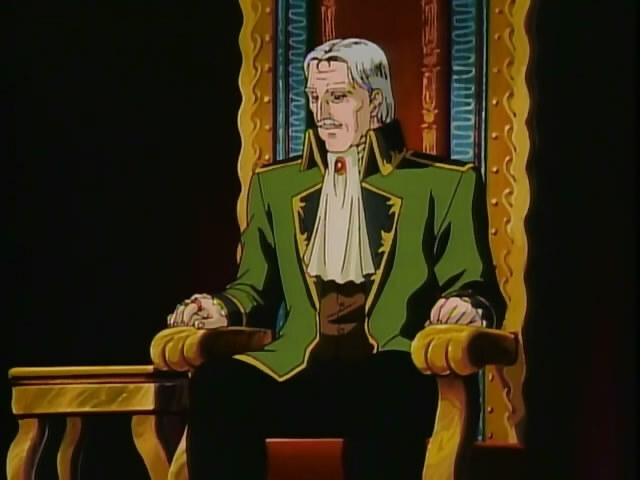 Later, Reinhard vents his frustrations about the fight with Luneberg to Kircheis. Rather than deflect it with wit, Kircheis decides to reveal the rest of what he knows about Luneberg. Basically Elizabeth had fallen in love with the fourth son of another family named Carl Mathius. Despite her family’s calls to break up the relationship, they were engaged. At which point, Carl was “surprisingly” called up to the front lines where he was killed in action by the Rosen Ritter. There were even suspicions that Luneberg himself had killed him. Friedrich's not very good at his job is he? The two then pondered why Luneberg would defect. 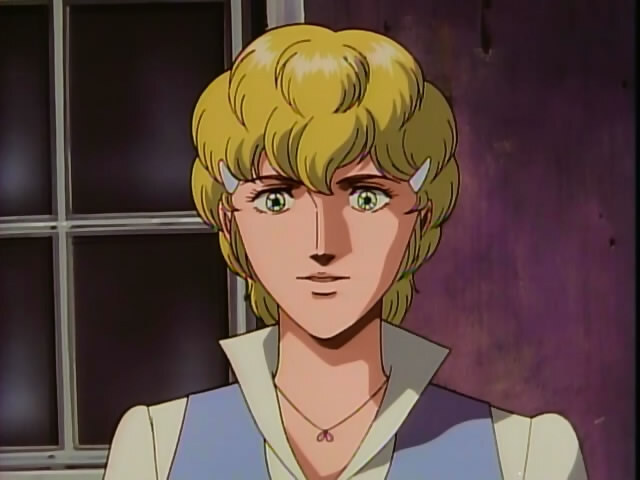 Reinhard put it down to a lack of recognition on the Alliance side for his accomplishments on the battlefield. However, he thought back to his own circumstances and thought that if he were five years older at the time they took Annerose away, he would have defected to the Alliance. A few days later, Friedrich announced that Reinhard would take the Lohengramm name upon turning 20. However, more importantly he wondered when the next expedition was planned. After Lichtenlade said it was on the table next to him, he approved it. The reaction from Reinhard and Kircheis was excitement. For Luneberg, it was a chance to antagonize Elizabeth some more. Thoughts: Could Schenkopp please do Luneberg in? It would seem fitting for the head of the Rosen Ritter to end Elizabeth’s suffering from the former head who started it. Also, maybe some signs of Yang actually doing something apart from being impressed at Bucock’s refusal to follow orders. That may be slightly optimistic, but I can dream right?